Soothe tired feet and improve circulation with Natural look cool feet masasge lotion. This lotion is enriched with peppermint, tea tree oil and geranium oil, leaving feet very fresh. Natural Look cool feet soak is an antibacterial, refreshes and deodorises tired feet. This foot soak is enriched with peppermint, tea tree oil and eucalyptus oil, leaving feet very fresh and clean. 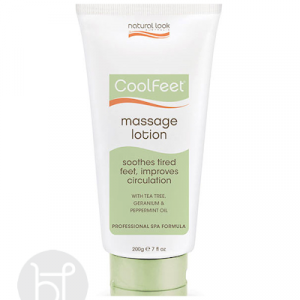 Exfoliate rough and dry skin with Natural look cool feet. 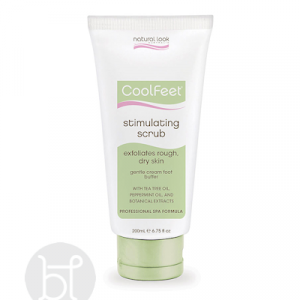 This scrub is enriched with peppermint, tea tree oil and botanical extracts, leaving feet very fresh.